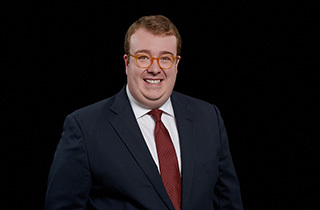 Torres, Scammon, Hincks & Day is pleased to announce that Samuel H. Martin has joined the firm as an associate. Sam is a recent Boston College Law School graduate and was a law clerk at TSH&D during law school. Sam will assist clients with all types of civil and business litigation, including contract disputes, insurance litigation and employment matters. While in law school, Sam was a legal intern in the Providence City Solicitor’s office where he assisted city attorneys at trial on criminal prosecutions and in housing court matters. Sam was also a member of the European Law Moot Court Team and a quarterfinalist in the Grimes Moot Court Competition. He continues to help coach the European Law Moot Court Team. Sam is a graduate of Boston College Law School, Fordham University and Boston College High School. He is a member of the Massachusetts Bar. Sam can be reached at smartin@tshdlegal.com or 617-930-4109.